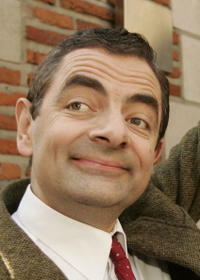 Rowan Atkinson as Mr. Bean in "Mr. Bean's Holiday." 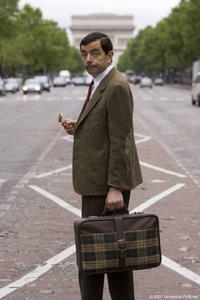 Rowan Atkinson as Mr. Bean attempts to hitchhike in "Mr. Bean's Holiday." 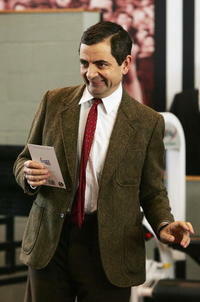 Mr. Bean (Rowan Atkinson) in "Mr. Bean's Holiday." 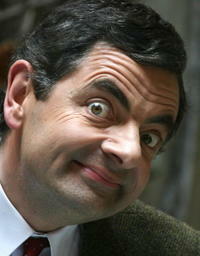 Mr. Bean (Rowan Atkinson), stuck in a familiar position, in "Mr. Bean's Holiday." 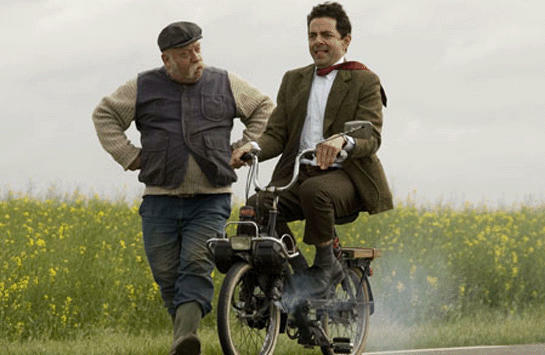 Mr. Bean (Rowan Atkinson) leaves London for a vacation in France in "Mr. Bean's Holiday." 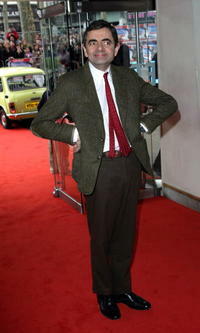 Rowan Atkinson at the London premiere of "Keeping Mum." 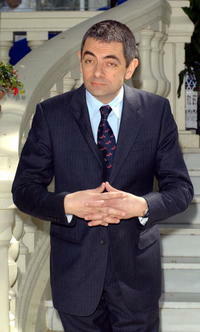 Rowan Atkinson in Brussels, Belgium. 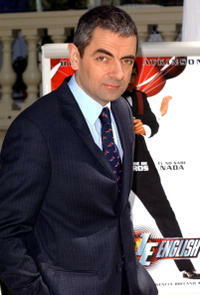 Rowan Atkinson at a photocall in Madrid for "Johnny English." 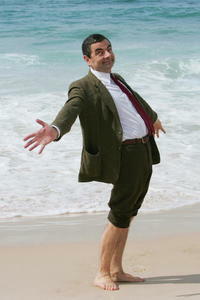 Rowan Atkinson on Sydney's Bondi Beach to promote "Mr. Bean's Holiday." 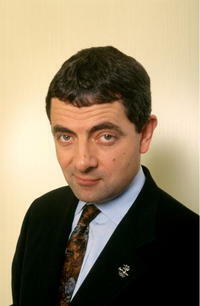 Rowan Atkinson at a photocall in France for "Mr. Bean's Holiday." 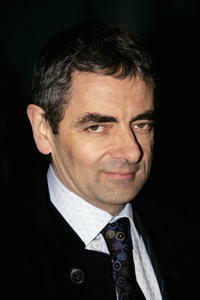 Rowan Atkinson at the London premiere of "Mr. Bean's Holiday." Rowan Atkinson and his wife at the second annual "Re:Creation Awards" ceremony for UK's best young creative talent in London. 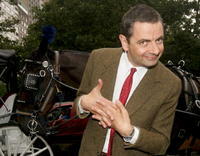 Rowan Atkinson at 59th street and 5th avenue in N.Y. to promote "Mr. Bean's Holiday." 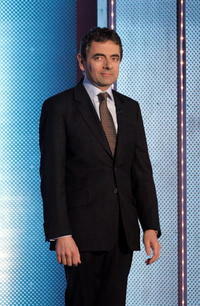 Rowan Atkinson on stage during the live broadcast of "Wetten dass..?" in Germany. Rowan Atkinson at the Collingwood Magpies AFL gym training session in Australia. 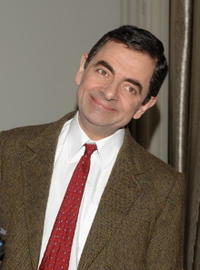 Rowan Atkinson at a photocall in Madrid for "Mr. Bean's Holiday." 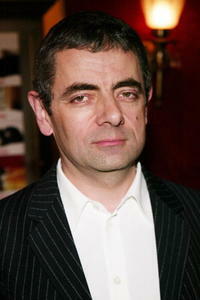 Rowan Atkinson at the N.Y. premiere of "Love Actually." 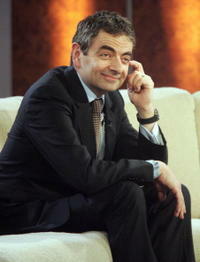 Rowan Atkinson during the broadcast of the German TV-show "Wetten, dass...?" 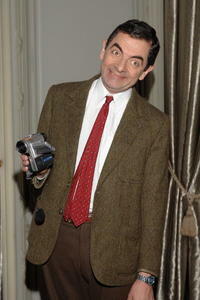 Rowan Atkinson at a photocall in Paris for "Mr. Bean's Holiday." 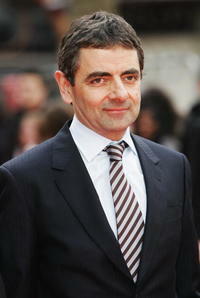 Rowan Atkinson at Bondi Beach in Australia to promote "Mr. Bean's Holiday." 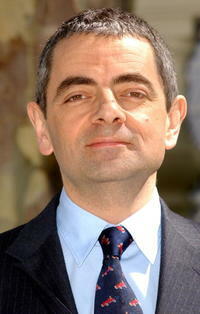 Rowan Atkinson at the Australian premiere of "Bean."